Next up to the Reader Spot is the very lovely, Linda Hill, winner of Best Book Review Blog 2016 at the Blogger Bash Awards. Find her book review blog HERE. I’ve got pretty eclectic tastes Shelley. I don’t read any horror if I can avoid it because I have too vivid an imagination and I find it hard enough to sleep at nights as it is! I say that I’m not keen on fantasy but every time I read a novel with a fantasy element I usually enjoy it. However, I suppose my favourite genres are what might be termed contemporary fiction such as The Wacky Man by Lyn G Farrell that I read recently and adored, historical fiction like Jakob’s Colours by Lindsay Hawdon which still remains one of the best books I’ve ever read, and literary fiction such as Rebecca Mascull’s Song of the Sea Maid which I thought was incredibly well written – akin to a modern day Dickens. I’m also very fond of lighter reads, crime, psychological thrillers and chick-lit. I have so many favourite authors – if that’s allowed. My favourite tends to be the last author I read who moved me to tears as that’s one of the ways I know I’ve really enjoyed the read – I’m sobbing into the tissues! It partly depends on my mood as to which author I might turn to. It might be Thomas Hardy one day, Amanda Prowse the next and Fredrik Backman the day after. I always prefer a real book. I love the process of picking it up in a book store, smoothing my fingers over the cover, turning it over to read the blurb, turning back and reading the opening paragraph. I love the smell of new books and the thud as they drop through the letterbox. I also like the way a real book is easier to share. However, that said, if I’m travelling (and I do that a lot) then I have to admit that my Kindle is easiest so that I’m never without a book. I’m also impressed by the ease with which I can read on my iPhone as I’ve only just got one. I get books everywhere. I’m lucky that many just turn up for review, but those I’ve enjoyed the most I also buy. I get them from supermarkets, charity shops (there’s an amazing Sue Ryder Charity bookshop in Spalding which is a town not far from where I live), from local independent bookshops like Walkers in Stamford, bigger ones like Waterstones and from Amazon. If I’m passing The Works I’m duty bound to pop in there too. My biggest source of information about books is the Facebook blogger and author groups I belong to, especially Book Connectors. I find Twitter is a dangerous source too as I always want whatever book is being promoted which can be very expensive. I also get quite a bit of information directly from publishers who know I blog so they send me press releases. I am in a reading group where we spend time swapping recommendations too. Ha! I used to when I was a teenager. I kept all my pocket money, and money I’d earnt from jobs like paper rounds and babysitting, in envelopes and one was specifically for books. I went to school in Oundle where there is a really good independent book shop attached to the boys’ public school so I was often to be found in there (for the books, not the boys). We believe you Linda! Now, though, I don’t think there’s any such thing as a budget for books – books are a necessity not a luxury in this household. Fortunately my husband is obsessed by books too so there’s no stopping us. I always write a review with one exception. If a book is less than three stars for me I don’t post a review as I think most authors have put their heart and soul into their writing and it might simply be that their book wasn’t to my taste. Occasionally some are truly awful with appalling grammar and incoherent plots but I’ve usually given up on them before half way anyway. 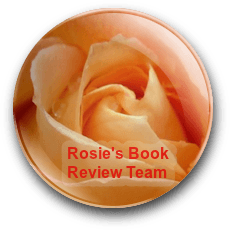 I post reviews on my blog Linda’s Book Bag, on Facebook on my book page and in several reader/author/blogger groups, frequently on http://www.lovereading.co.uk where I am a reader panel member and always on Amazon and Goodreads. I should post on Bookbridgr too but I keep forgetting to do that. If I believe in the characters then other elements can be less strong, but it’s always good when the plot is compelling so that you don’t want to put the book down. I really enjoy those books that touch my soul and that I think about when I’m not reading them, so I think it is an emotional element that I look for most. Occasionally a book is so filled with people I care about that I dream about them, imagining I’m having conversations with them or am part of the story – is that weird? I also love a writer whose style seems natural so that I become unaware that I’m reading and more as if I’m experiencing the events myself. Everywhere of course. I always read last thing at night unless my husband is reading to me which he still does occasionally – the Paddington stories by Michael Bond amongst others! I feel naked without a book if I’m travelling and I love nothing more than sitting on a beach and reading for hours. However, I think the place I like to read most is in the garden. There’s a bench tucked up one corner where I can spend whole days reading. I’m on Facebook and Twitter but I don’t use my LinkedIn or Pinterest Accounts as I find social media takes up too much of my time anyway! My main online presence is on my blog where I post reviews, interviews, spotlights, guest posts, cover reveals and so on. I hope you enjoyed this feature. If you would like to take part, please get in touch. Next week I’m chatting to Kaisha Holloway from The Writing Garnet. Lovely to read more about Linda. Woohoo! That’s me! Thank you so much for having me on your lovely blog Shelley. I only recently started following Linda’s blog so it’s been lovely to learn a bit more about her. Love that reading spot in the garden.